Quick summary: Students begin by sharing what they already know about climate change and the actions we can all take for climate change. They then work as a class to investigate how news article headlines and leading paragraphs are written to draw in the reader. Students will then work in groups to rewrite a range of stories about climate change action in Australia over the past 10 years. Students will then write their own news story and headline to describe an action they are already doing to help fight climate change. This lesson may be followed by Earth Hour – Switch off to join the future – Years 5 & 6 – Lesson 2. What is climate change? What do I already know about climate change? How can we limit climate change? What actions can we take? What actions have I already taken? What are the roles of the headline and a leading paragraph in a news story? What are the other key components of a news headline? What is Earth Hour? How does Earth Hour share messages about climate change and taking action for climate change? Syllabus outcomes: EN3-6B, EN3-5B, EN3-2A, EN3-3A. Relevant parts of Year 5 English achievement standards: Students create imaginative, informative and persuasive texts for different purposes and audiences. When writing, they demonstrate understanding of grammar using a variety of sentence types. They select specific vocabulary and use accurate spelling and punctuation. Relevant parts of Year 6 English achievement standards: Students understand how language features and language patterns can be used for emphasis, and they create detailed texts elaborating on key ideas for a range of purposes and audiences. They demonstrate an understanding of grammar, and make considered vocabulary choices to enhance cohesion and structure in their writing. Students use accurate spelling and punctuation for clarity. 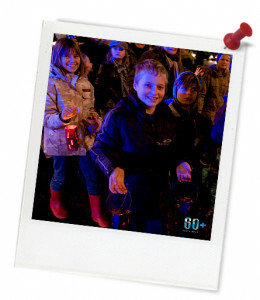 Unit of work: Earth Hour – Primary. Level of teacher scaffolding: High – oversee activity, lead students in creating news pieces. Resources required: Student Worksheet – one copy per student OR computers/tablets to access the online worksheet. Device capable of presenting a website to the class. Workbooks, pens/pencils. Earth Hour – Stories from the past 10 years – Years 5 & 6, Inverted pyramid model of journalistic writing, Australia’s kelp forests under threat, robots could be only hope by Margot Kelly. Keywords: Earth Hour, climate change, future, news makers, action. Overarching learning goal: By participating in this lesson students will have a basic understanding of climate change and the actions we can take to fight climate change, including identifying the actions they are already taking. They will also recognise the key features of news articles and how these are used to attract the attention of the reader. Finally, students will recognise the role of Earth Hour in communicating messages about climate change action. Thought starter: What do you already know about climate change? Part A: What is climate change? 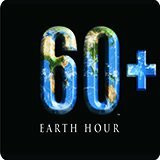 What is Earth Hour? a. What key words come to mind when you hear 'climate change'? b. What questions do you have about climate change? Once complete, team up with a classmate and share your ideas. Following your discussion you can make any changes to what you have written down if you wish. Step 1. Working in groups you will be asked to rewrite one of the Earth Hour - Stories from the past 10 years - Years 5 & 6 (your teacher will assign you one) using the Inverted pyramid model of journalistic writing.